I agree on finding so many books through the blogs. I would have never picked up Ready Player One for sure. Some days I am generally excited about all the books they are introducing us to. Some days when I look a little to close at my TBR I am not so excited. Ha ha, I can understand that! I like this topic! And funny enough Cinder, The Scorpio Races, Ready Player One, Code Name Verity and Pivot Point would all feature on my list too. As would Colleen Hoover books and Parallel by Lauren Miller. Most I found because all book bloggers are the worst book pushers and when I see glowing reviews from trusted friends, I can’t resist. Thankfully! Parallel will probably be my next read, so if I end up liking it a lot there is definitely a chance it could have made this list! I have to agree that glowing reviews from friends makes it hard to resist books! This is such a great topic, and one that I’m definitely stealing for future freebies!! I agree with almost all of these! Blogging has been such a game changer when it comes to books… I honestly don’t even know where I found new books before it. But I especially agree with you on Cinder!! I never would have picked that book up and now it’s one of my favorites. Thanks! I was talking to a girl I know who picked up Cinder because of her teacher’s recommendation, and she was talking about how she was really unsure of it at first. And that was how I felt too, but EVERYONE was raving about it on their blog so I had to see what the fuss was! I’m sure glad I did! Great idea for a list. Cinder would be on mine too as I might never have even heard of the book without all the awesome bloggers constantly talking about it. While it didn’t turn out quite as well as I wished, I’m in the midst of reading Scarlet and am really, really liking it. I think a lot of people were influenced to read Cinder because of the blogsphere. I hope you end up loving Scarlet… and Cress! Cress is definitely my favorite of the three so far! I so agree that blogging opened so many new book doors for me. I really loved Shadow and Bone series and I don’t think I would have found that before. I am going to have to read For Darkness Shows the Stars, sounds awesome! For Darkness Shows the Stars is really great, and I loved its companion novel Across a Star-Swept Sea even more! I’d HIGHLY recommend both! Great idea for a list! There are so many books I probably wouldn’t have looked into if not for seeing them on other blogs all the time — particularly YA books like Cinder and The Book Thief. I’ve never heard of For Darkness Shows the stars but my interest is piqued! It’s great; definitely worth checking out! 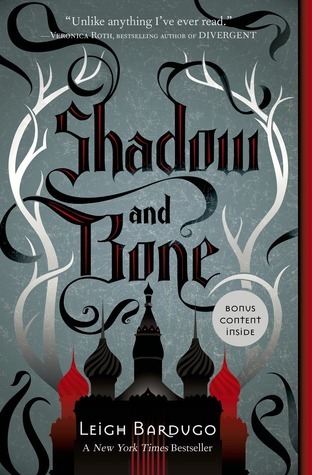 Hmm, some fav books I discovered due to blogging… SHADOW & BONE is definitely one. THIS SONG WILL SAVE YOUR LIFE by Leila Sales, PARALLEL by Lauren Miller, THE RAVEN BOYS by Maggie Stiefvater, THIS IS NOT A TEST by Courtney Summers, and so many more which I won’t list down because it’d take forever and it’d probably bore you to death. So yeah, super glad I started blogging, even though it gets time consuming. But that’s a small price to pay for so many other good stuff. Great TTT, Amy! Oh yes, so much of my TBR is because of blogging! Parallel is next on my list to read, so I’m hoping I’ll enjoy it as much as everyone else seems to! I haven’t read any Diana Peterfreund books but you are so excited about them and I now need them in my life (preferably right now, haha). A lot of the books I’ve received unsolicited from publishers are ones that I wouldn’t have discovered without blogging. Namely Trish Doller’s books. 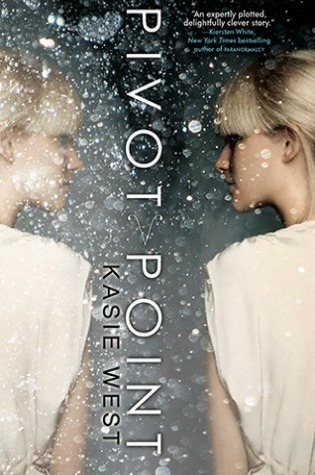 I’d sort of drifted away from YA contemporaries but then I received Something Like Normal in the mail one day and decided to read it because the story sounded amazing. And I ended up adoring it, and have no rediscovered the amazing genre that is contemporary! I do really love the two Peterfreund books I mentioned! I’m sorry you didn’t love The 5th Wave, but I understand that it’s not for everyone.